The Stanley Mosk Library and Courts Building is the Sacramento home to the Supreme Court of California and the location of the Third District Court of Appeal. The following cases are placed upon the calendar of the Supreme Court for oral argument at its courtroom in the Stanley Mosk Library and Courts Building, 914 Capitol Mall, Sacramento, California, on February 7, 2017. #15-134 DisputeSuite.com, LLC v. Scoreinc.com et al., S226652. (B248694; 235 Cal.App.4th 1261; Superior Court of Los Angeles County; BC489083.) Petition for review after the Court of Appeal affirmed an order denying an award of attorney fees in a civil action. This case presents the following issue: Were defendants entitled to an award of attorney fees under Civil Code section 1717 as the prevailing parties in an action on a contract when they obtained the dismissal of the action on procedural grounds pursuant to a Florida forum selection clause? #15-234 Park (Sungho) v. Board of Trustees of California State University, S229728. (B260047; 239 Cal.App.4th 1258; Superior Court of Los Angeles County; BC546792.) Petition for review after the Court of Appeal reversed an order denying a special motion to strike in a civil action. This case presents the following issue: Does Code of Civil Procedure section 425.16 authorize a court to strike a cause of action in which the plaintiff challenges only the validity of an action taken by a public entity in an “official proceeding authorized by law” (subd. (e) ) but does not seek relief against any participant in that proceeding based on his or her protected communications? #16-168 In re Kirchner (Kristopher) on Habeas Corpus, S233508. (D067920; 244 Cal.App.4th 1398; San Diego; C21804, CRN26291.) 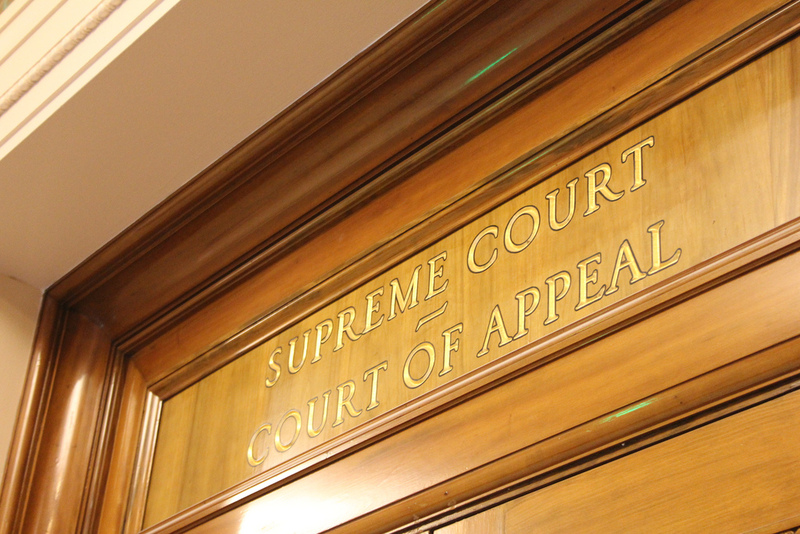 Petition for review after the Court of Appeal reversed an order granting relief on a petition for writ of habeas corpus. This case presents the following issue: When a juvenile offender seeks relief from a life-without-parole sentence that has become final, does Penal Code section 1170, subdivision (d)(2), which permits most juvenile offenders to petition for recall of a life-without-parole sentence imposed pursuant to Penal Code section 190.5 after 15 years, provide an adequate remedy under Miller v. Alabama (2012) 567 U.S. ___ [132 S.Ct. 2455], as recently construed in Montgomery v. Louisiana (2016) 577 U.S. ___ [136 S.Ct. 718]? #14-128 Shaw (Deborah) v. Superior Court of Los Angeles County (THC—Orange County, Inc., et al., Real Parties in Interest), S221530. (B254958; 229 Cal.App.4th 12; Superior Court of Los Angeles County; BC493928.) Petition for review after the Court of Appeal granted a petition for peremptory writ of mandate. This case presents the following issues: (1) Did the Court of Appeal err by reviewing plaintiff’s right to a jury by writ of mandate rather than appeal? (See Nessbit v. Superior Court (1931) 214 Cal. 1.) (2) Is there a right to jury trial on a retaliation cause of action under Health and Safety Code section 1278.5?